Oh goody, that's quite the short notice, I bet a lot of people are gonna miss this and be pissed. Pity the poor fool with a life who's away for the weekend or something. Makes me wonder how many minutes I'll have to confirm my 3ds game, assuming it ever happens. If you live in 2017 without some sort of cellphone, smart watch, laptop, or any device really that can show you your e-mail, one that takes a couple minutes to complete at that, then I can't see a real issue. The only reason would be a recipient being on some sort of cruise or excursion where no cellular networks exist, unless you pay to use wi-fi of course. Or they just might not check their likely email all the time because they have other affairs to attend to, like work or having a social life that doesn't involve digital notifications all the time. Cause you know their are some people that make a conscious decision not to be consumed or overly reliant on digital media/social networking. Not disregarding the fact it was definitely short notice for everyone. but now a days even if your on a cruise if they provide wifi there is probably at least a basic one available for everyone to use. maybe a paid premium version but at least base wifi. I mean it's not quite the same but i've been out to some conventions within the past few years and even the hotels and stuff have a basic wifi available so if i'm on an expensive cruise i'd expect it to be available to me there as well. Sure it's not what im there to do but if i am expecting an important email to come through for any reason i want to be able to recieve it ya know? I hope these include the cartridge usb's as well. I'm with you, and I somehow doubt that my hard-cover art book will actually be signed by Inafune, as promised. If you don't see an email from them, check any other emails you might have used in the past with Kickstarter and make sure the email's not on there. What about the dinner with Inafune? Are you one of the people who paid for a dinner with Inafune? It's possible that people who did that were not allowed to post photos, had to sign some kind of NDA, or something else. It's also possible that those people were not able to travel to Tokyo within a specified time window for whatever reason, or that they just never intended to have dinner with Inafune because they just wanted to support the project on that level. 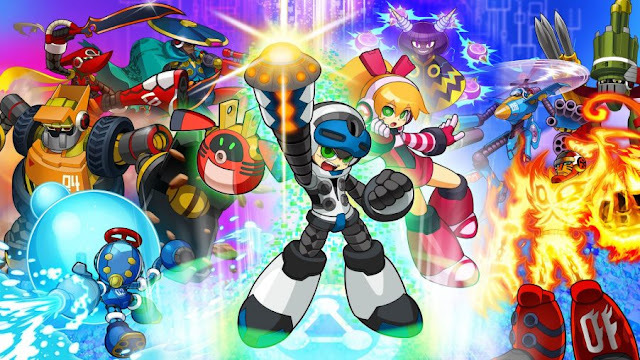 Those pledges could have been made by people from other countries, a corporation, and/or people close to Inafune ... there are many possibilities. I doubt we'll ever hear about these $10k dinners. If it actually happened, we would have heard something by now. Would you care to elaborate, Jaxel? What's the deal with the short notice? It's almost as if they are hoping for less replies and hence less rewards to be sent out. wow, level 5 is really whipping them into actually working on their promises. I haven't gotten the survey yet but I took your advice and contacted Fangamer. I'm still owed a physical box and a softcover strategy guide among other things. "Mighty No. 9 Physical Reward Survey Has Gone Out (Updateed)"
I didn't even get an e-mail response from Fangamer until last night and I was already in bed so... I answered it first thing this morning to let them know I had changed my Kickstarter e-mail (but apparently that doesn't change it for things you previously backed).